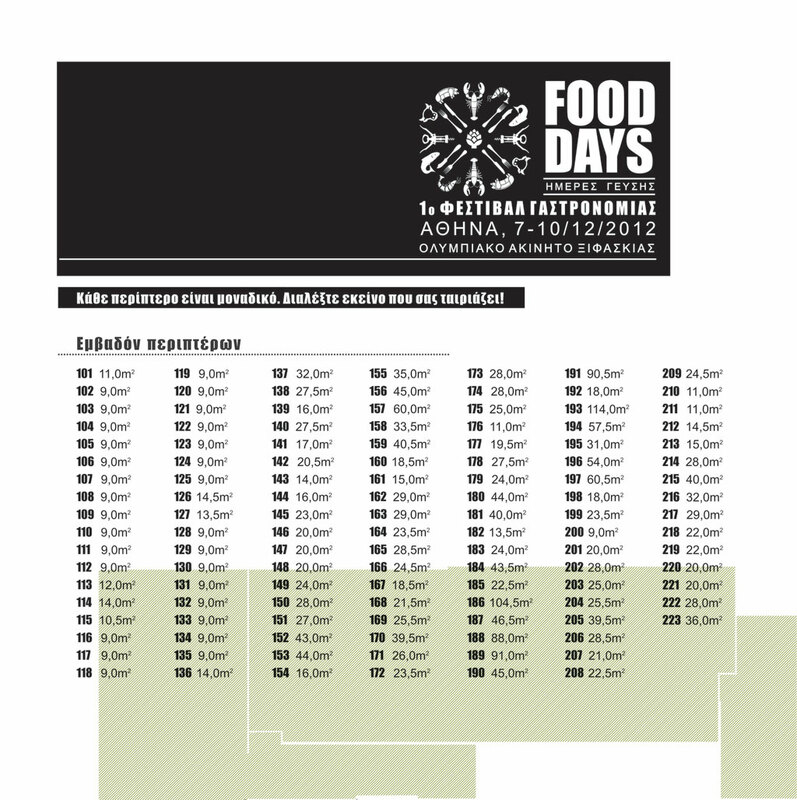 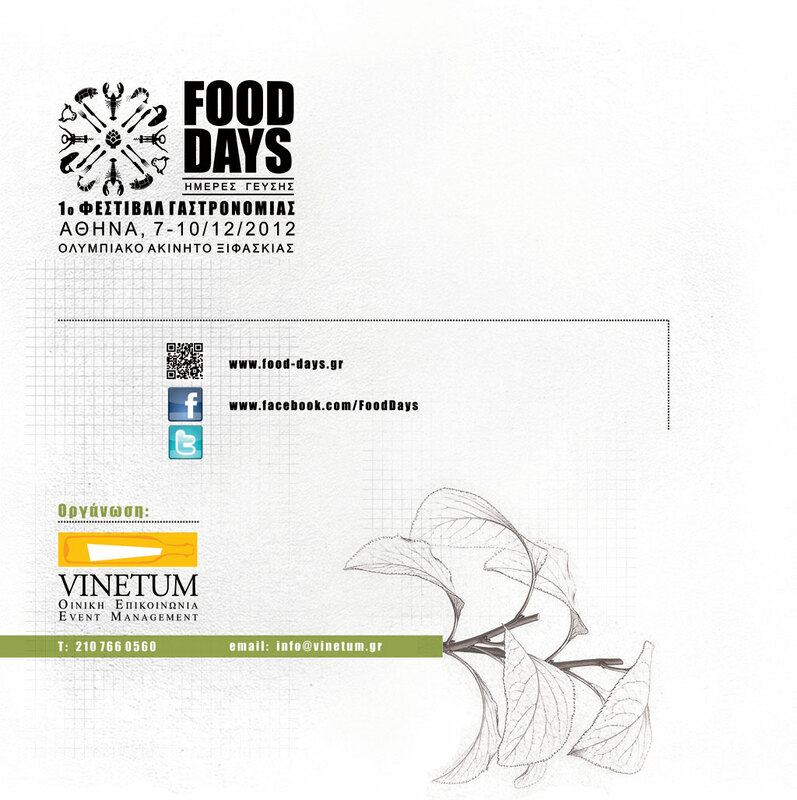 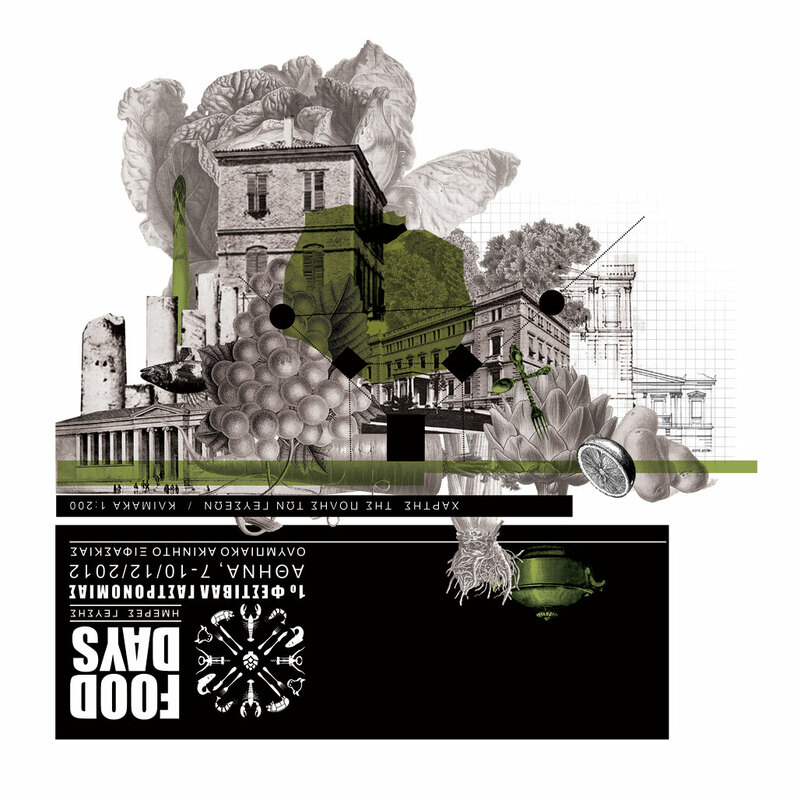 The aim of the design of the floor plan of the first gastronomy festival food days was the space to look like a city, escaping from the standard exhibition plans. 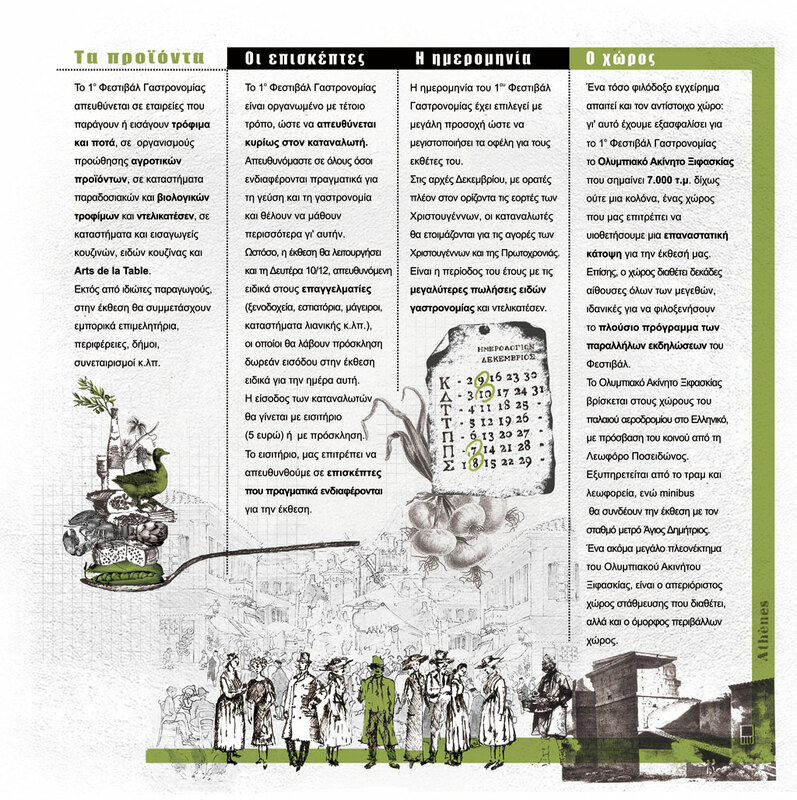 Prompted by the need for redesigning of Athens into a city more walker-friendly with more free spaces, as is attempted during this period through the competition “rethink Athens”, the layout of the festival, i.e. 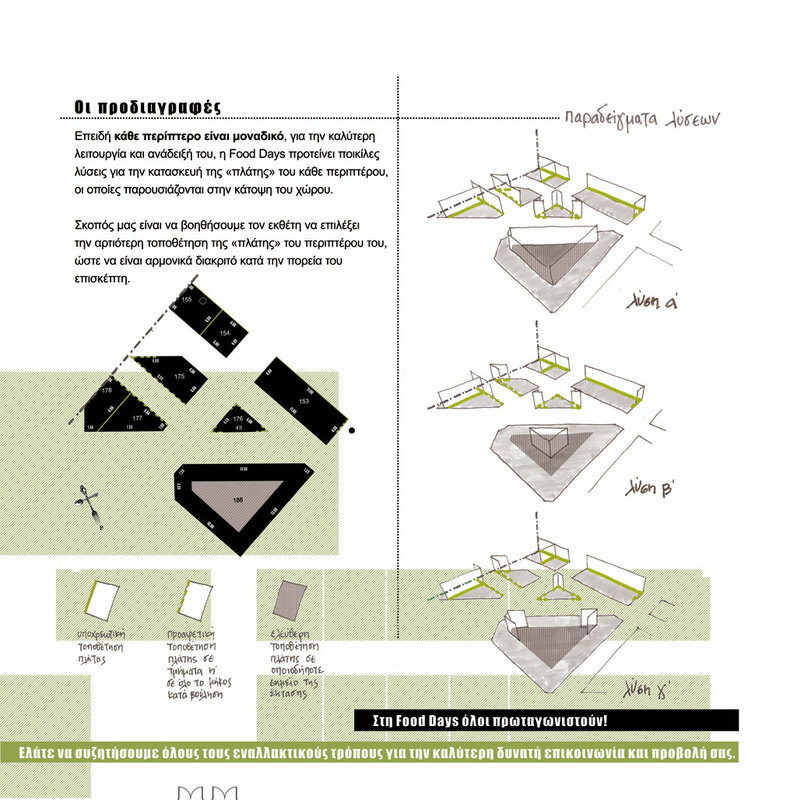 the planning of stands and vacant spaces – squares – is inspired by the urban plan of the city of Athens in 1832 of the architects Kleanthis and Schaubert. 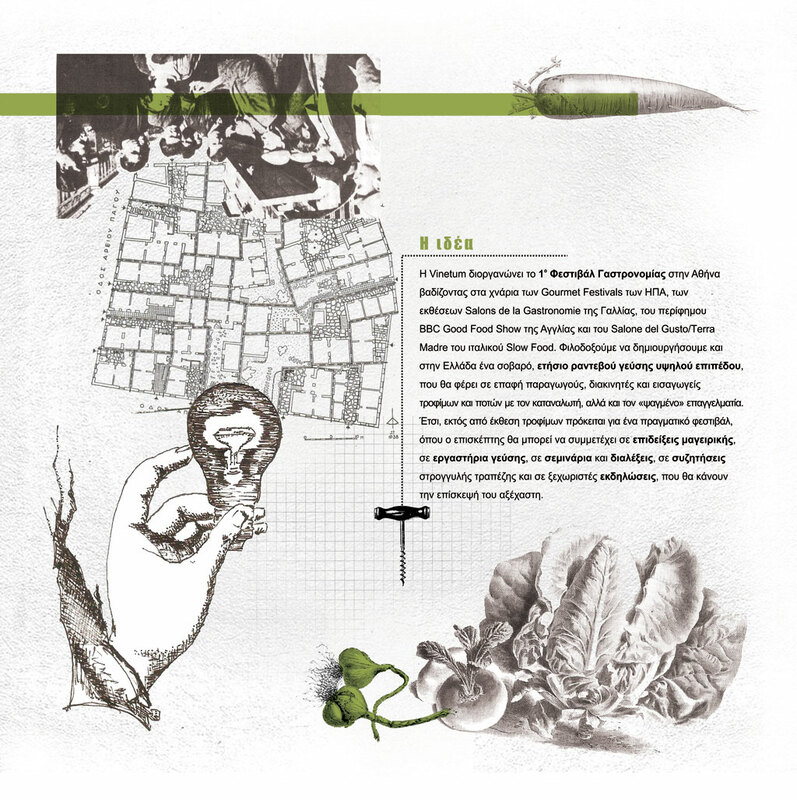 The project was based on the formal principles of Neoclassicism: symmetry, imposingness and monumentality. 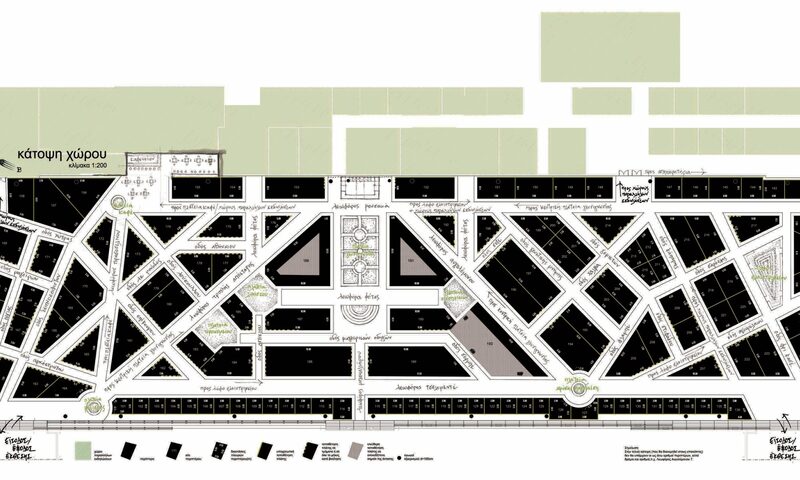 The organization of the plan was based on the principle of large blocks with wide streets and squares with the Palace in the center of today’s Omonia square. 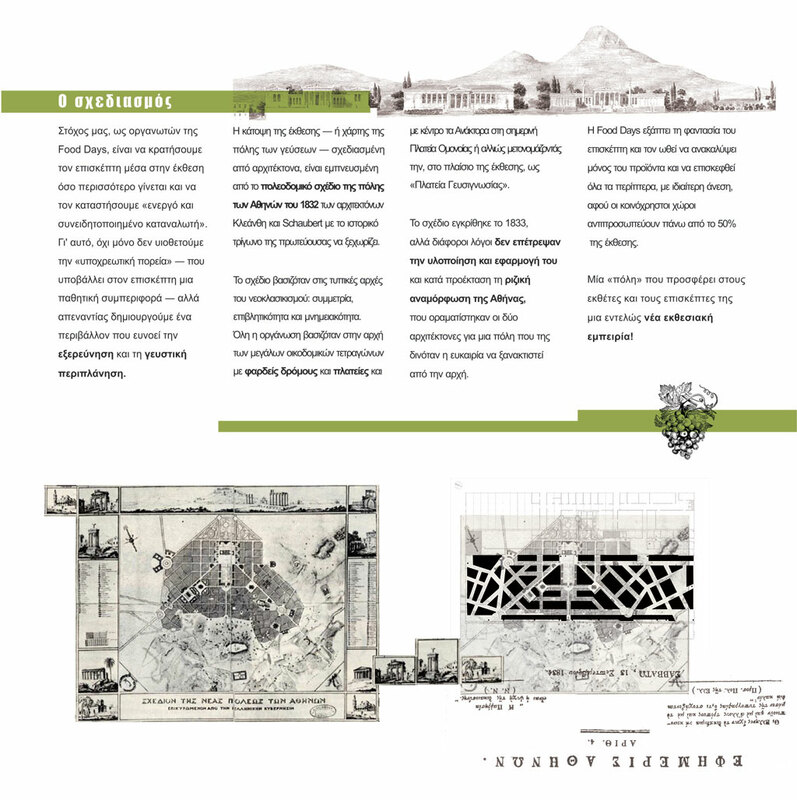 The project was approved in 1833, but various reasons did not allow the implementation nor the realisation of the plan and in addition the radical reform of Athens that both architects had envisioned for a city that had the opportunity to be rebuilt from scratch. 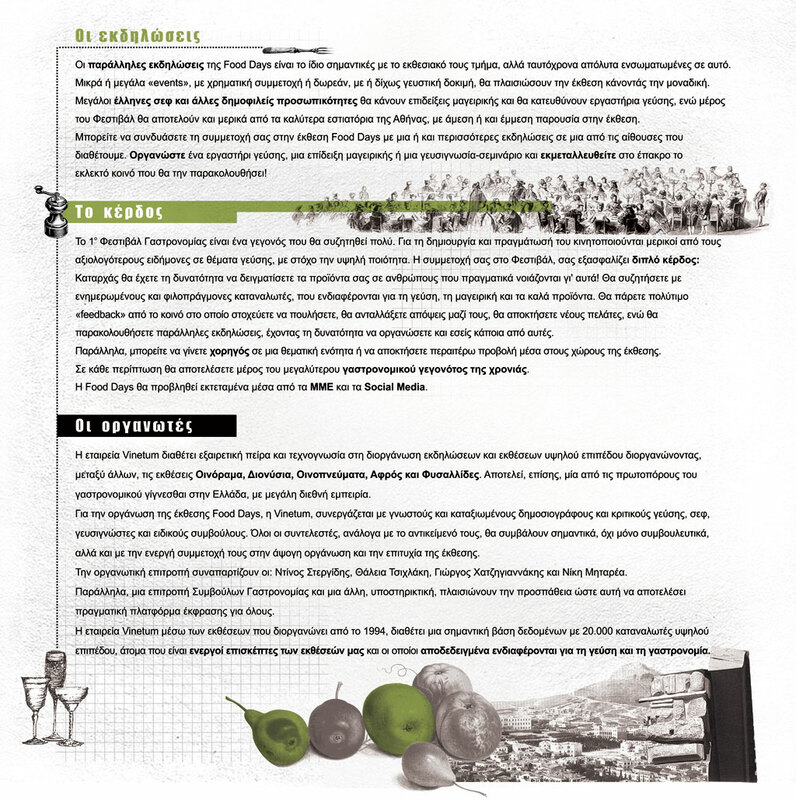 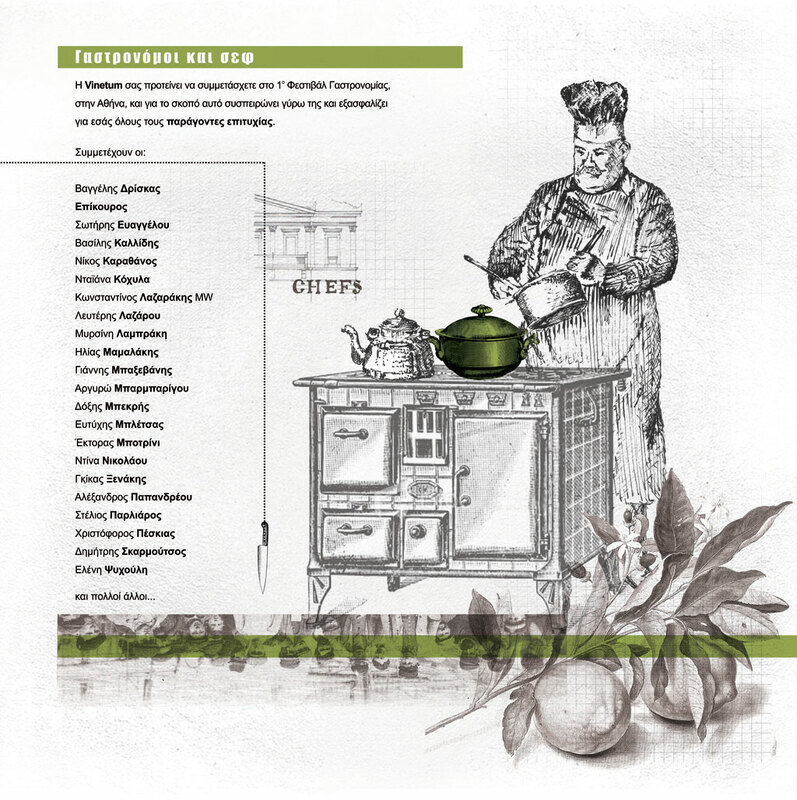 The purpose of this idea for the first festival of gastronomy is that any visitor can wander around a different Athens, one that was never materialized, a city of a bygone era, with a more walker-friendly design where the unbuilt areas (squares and streets) are almost equal to those built.